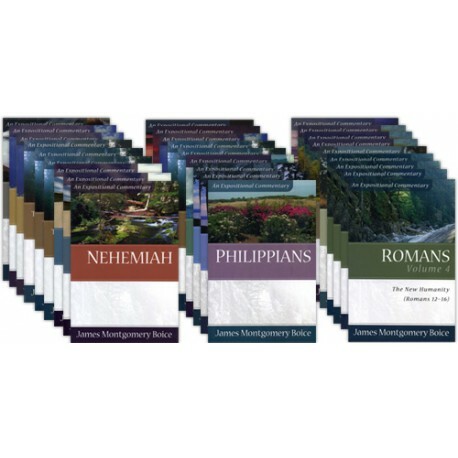 The popular Boice Expositional Commentary Series is now available for PC Study Bible Version 5. 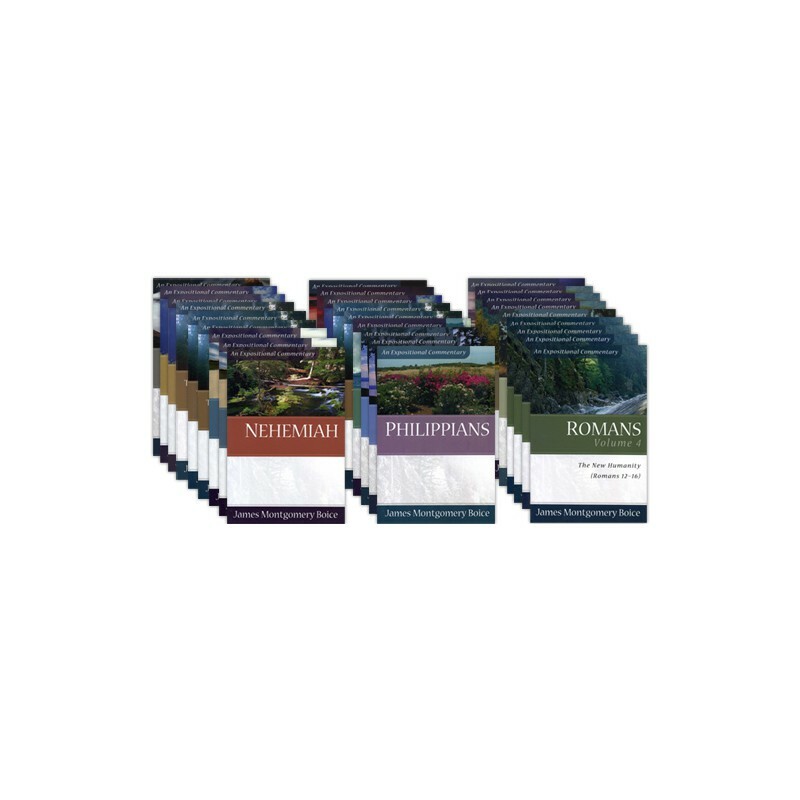 Boice’s clear language and approachable style make these commentaries accessible and enlightening for pastors, teachers and Bible students. His verse-by-verse and subject-by-subject explanations help readers make sense of the overall structure and intricate meaning of each book. The popular Boice Expositional Commentary Series is now available for PC Study Bible Version 5. Boice's clear language and approachable style make these commentaries accessible and enlightening for pastors, teachers and Bible students. His verse-by-verse and subject-by-subject explanations help readers make sense of the overall structure and intricate meaning of each book. The material flows from Boice's years of exegetical study and preaching experience at Tenth Presbyterian Church of Philadelphia, and as host of the Bible Study Hour radio program. If you enjoy listening to J. Vernon McGee's Thru the Bible radio broadcasts through webcasts, we recommend that you also try Dr. Boice's Bible Study Hour, heard continuously since 1968, to see for yourself the gifted, pastoral nature of his teaching. That same approachable and illustration-filled style flows through the entire Boice Expositional Commentary Series. What can we gain from studying the Book of Genesis? According to James Montgomery Boice, starting at the beginning of everything causes us to think about God and to understand ourselves as fallen, yet redeemable. This knowledge not only deepens our understanding of the Christian faith but also enhances our ability to impart the gospel's truth to a world desperately in need of it. In this commentary on Genesis 12-36, Boice traces the "new beginning" of God's plan of redemption, which arose out of God's relationship with Abraham, Isaac, and Jacob. By delving into the patriarchs' lives, Boice demonstrates how much they are like us and how easily we relate to them, both in triumphs and failures. No man in Scripture lived more consistently and completely for God than did Joseph, a favorite son of Jacob. In times of adversity and in times of prosperity-both of which offered the temptation to deny God and his lordship-Joseph remained steadfast. "The secret of success is to know God's Word, speak about it, meditate on it, and then, above all, do it. In God's world there is no substitute for full obedience." Joshua was a soldier. According to James Montgomery Boice, he was "one of the most extraordinary military commanders of all time." But what sets Joshua apart from his predecessors and successors, says Boice, is his obedience to the Word of God. This insightful commentary follows a chosen commander whose obedience successfully brought him through the Jewish conquest of Canaan. Chapter by chapter and verse by verse, Boice explores the entire book of Joshua, from Joshua's military commissioning to the crossing of the Jordan River, from the Israelite victory at Jericho to the division of Canaan among the twelve tribes, which set the stage for God's people to prosper forever in obedience to him. Nehemiah was a great leader. According to James Montgomery Boice, Nehemiah's leadership abilities were born from his submission to God, his ability to focus on the right goals, his wisdom in handling complex situations, and his courage to act decisively. "But the most important thing about Nehemiah," says Boice, "is that he was a man of God, and because he was so close to God in prayer and personal piety, he was able to draw from God the wisdom, patience, skill, and perseverance he needed." This insightful commentary follows a chosen leader through the great task of rebuilding the wall of Jerusalem 150 years after it was destroyed by King Nebuchadnezzar. Through analysis of eight dynamics of the Old Testament text, Boice explores all aspects of Nehemiah's work, from taking command to getting the work done, from dealing with oppression to dedicating the wall and establishing Jerusalem as a city under God. Whether you're a serious Bible student probing through Psalm 19 or a first-time reader inspired by the promise of Psalm 23, this first volume on the book of Psalms explores each of the first forty-one psalms, uncovering deep reflections, wisdom for living, and verses of praise, confidence, and repentance. Psalm 1 stresses the importance of God's guidance in one's life. Psalm 16 foretells Jesus's resurrection, a startling and impressive declaration for the time. Psalm 23 portrays life as a pilgrimage, where God is provider, comforter, and friend. Covering Psalms 42-106, this second volume on the book of Psalms portrays the realities of human life and the peace that is found in God alone. James Montgomery Boice explores the life of David-his pain, trials, joy, and spiritual aspirations. Psalm 47 reveals God as king of all the earth and calls people of all nations to praise him. Psalm 62 speaks God's peace to anyone discouraged, depressed, or threatened. Psalm 100 invites us to "enter his courts with thanksgiving." Exploring Psalms 107-150, this third and final volume on the book of Psalms offers solid, practical, and well-illustrated expositions on God's nurturing, grace, comfort, and instruction. James Montgomery Boice expounds on the theme of worship-what true worship is, who should worship, and when and how we should praise God. Psalm 110 calls us to offer our lives to Christ the Messiah. Psalm 133 describes the unity of those who live together as brothers. Psalm 147 challenges us to move our focus from ourselves to a God who is worthy of our praise. Through Daniel's visions and experiences as an exile in Babylon, the Book of Daniel gives us a clearer understanding of history than any other part of the Bible. Daniel also makes it clear that God is in control of all human events that have unfolded or will occur in later times. At the same time, he shows us how to live for God in ungodly times-like our own. The Minor Prophets dramatize the character of God as few other books in the Bible do. According to noted expositor James Montgomery Boice, they particularly highlight three aspects of God's character: his sovereignty, his holiness, and his love. The messages of the Minor Prophets and their pertinent application for our lives should not be dismissed. This two-volume expositional and inspirational commentary on the Minor Prophets integrates rigorous scholarship with accessible writing. It will inform a wide range of readers-from serious Bible students to interested laypersons-and help you understand and apply the truths found in the text. This two-volume expositional and inspirational commentary on the Book of Matthew integrates rigorous scholarship and clear communication. It will inform and help a wide range of readers-from serious Bible students to interested laypersons-understand and apply the truths found in the text. Jesus's Sermon on the Mount shows us the absolute necessity of the new birth and a regenerated heart. It points us to Jesus himself. And it indicates the way to blessing for Christians-how we can please our heavenly Father. In this unique addition to his popular commentary series, James Montgomery Boice provides an in-depth look into the Sermon on the Mount found in Matthew 5-7. He explains the meaning of the text verse by verse and relates its concerns to today's world, the church, and the realities of the Christian life. The Gospel of John, says James Montgomery Boice, is "a powerful source of instruction and comfort to many millions of God's people down through the ages of church history." "If we allow God to use us, we become important spiritually," says James Montgomery Boice. "For the Lord Jesus Christ himself is seen in the conduct of his followers." "Open your ears," says James Montgomery Boice. "Hear the voice of Christ. Believe him. Turn to him. Throw yourself upon him. Receive him as your Savior." "In the wisdom and purpose of God," says James Montgomery Boice, "the tragedy of the cross is a triumph since it is this that makes salvation possible." The power the early church exhibited for changes and growth is overwhelming. Although it faced enormous obstacles-it was completely new, it taught truths that seemed unbelievable, and it suffered intense hatred and persecution-the church managed to spread across the early world within the lifetime of the first generation of believers. "Christianity has been the most powerful, transforming force in human history," says James Montgomery Boice, "and the book of Romans is the most basic, most comprehensive statement of true Christianity." "Grace reigns," says James Montgomery Boice, "not because God is gracious to us no matter what we do, but because grace has created in us a genuinely godly walk." "No religion is stronger than its god," says James Montgomery Boice, "and in the case of Christianity, no Christians have ever been stronger than their knowledge of the true God and their desire to obey and glorify him." "It is changed people who change everything," says James Montgomery Boice. "If you have been called to faith in Jesus Christ, you are part of the radically changed community, the new humanity." According to James Montgomery Boice, Paul's great letter to the Ephesians is "a mini-course in theology, centered on the church." Writing to the church in a city much like modern-day New York, Paul laid out his mature vision of the Christian faith's central elements. The apostle set these fundamental doctrines in the context of the church as the body of Christ. "Philippians is so simple and at the same time so profound that is speaks profitably to Christians at every level of spiritual understanding, age, and maturity." As James Montgomery Boice points out, no book in the Bible is so filled with joy as Philippians. Even though Paul faced possible execution for his faith, he managed to remain joyful in the midst of terrible circumstances. The three letters of John found near the end of the New Testament have a tendency to be over-simplified or simply overlooked in the study of the Scriptures. However, though these letters may on the surface seem less applicable to our time because they address heresies and church management issues that seem unique to the early church, careful study reveals just how contemporary these concerns are.